Neck pain from cycling is probably one of the most common overuse injuries that stems from poor posture and weak muscles. Despite the lack of trauma, the injuries associated with neck pain can be debilitating to the point where it is almost impossible to get on the bike. Some of these issues can be fixed with a good bike fit. Having a frame that's too big or too small, handlebars that are too wide or narrow, or a stem that is too long or short are just a few of the adjustments that need to be dialed in to correct postural problems associated with spending hours on the bike. But what about after the bike fit? Maybe you don't have any pain cycling for an hour or two, and only get pain on the longer rides that reach into the four- to six-hour range. If this is you, chances are the muscles of the neck and shoulders aren't strong enough to support the weight of the head for that long of a duration, which can also be a source of pain. This happens because of the tensing of the trapezius muscles that run along the side of the neck and shoulder and, attach at the base of the head. When these muscles are tensed for a long period of time, blood flow to the area is decreased, which starves the muscles of oxygen. This can lead to trigger points, muscle spasms and potentially quite a bit of pain. To keep the muscles loose and relaxed (also important to do while riding) and strong enough to support the amount of cycling you're doing, cyclists should develop a consistent routine of strengthening and stretching exercises to stay pain free. As you become more comfortable with these stretches you can increase the hold of each stretch, just don't do as many (i.e. hold for 20 to 30 seconds but only do 2 to 3 repetitions). Remember that pain is a good indicator that something is wrong. These exercises are not meant to be an alternative to seeing a doctor, as some conditions can be more serious than simple stretching and strengthening exercises can fix. As always, be smart and listen to your body if in doubt. Standing or sitting with an upright posture, lower the chin towards the chest until you feel a stretch in the muscles at the back of the neck. Hold for five seconds and repeat five times. With an upright posture, tilt your head back (opposite of flexion) so that your nose is towards the sky. You should feel this stretch in the back of the neck and the muscles of the upper shoulder. Hold for five seconds and repeat five times. In a neutral spine position, rotate the head so that the chin is pointing directly towards each shoulder. You should feel a stretch on the sides of the neck. Hold for five seconds and repeat five times on each side (left and right). In a neutral spine position, bend the neck so that your ear goes towards the shoulder. You should feel this stretch at the sides of the neck. Hold for five seconds and repeat five times. 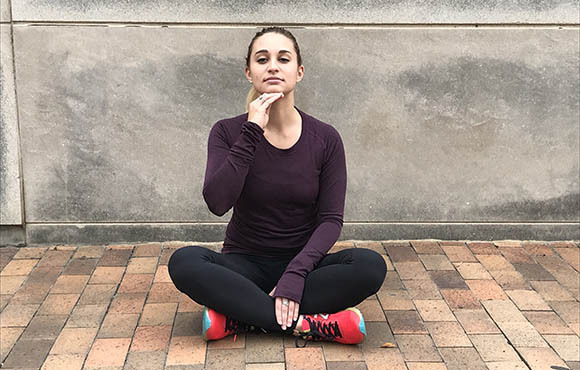 In a neutral spine position, place two fingers on the chin to gently guide the head back, away from the forward head posture that most people have adopted as neutral. This is a subtle movement. You should feel a stretch in the muscles of the upper neck and shoulder. Hold for five seconds and repeat five times. Also called elbow presses, this exercise is performed by holding the elbows away from your body at shoulder height. As you would with a rowing exercise, bring the elbows back and squeeze the shoulder blades together towards the spine. Hold 5 seconds and repeat 10 times. When this exercise becomes easy, increase the reps or move to performing the exercise with resistance bands or the cable system at the gym. Similar to a reverse shoulder shrug, bring the shoulders up towards the ear (contracting the upper trapezius muscle) while keeping your arms down by your side. Next roll the shoulders backwards and down, stretching the same muscles you were just contracting. Also make sure to rotate the shoulder blades together too while you rotate back and down. Complete the circle until you reach the starting point. Repeat 10 times. Lie down on your stomach on a flat and raised surface (such as a bed) with your head hanging off in the position of flexion. Raise the head past the neutral spine position and up into extension. This movement should be slow, taking about five seconds to lift the head completely into extension. Repeat the same exercise in the previous slide for flexion by lying on your back with your head off the bed, bringing your chin towards your chest. Repeat each 10 times (this video does a good job demonstrating an example of this exercise). 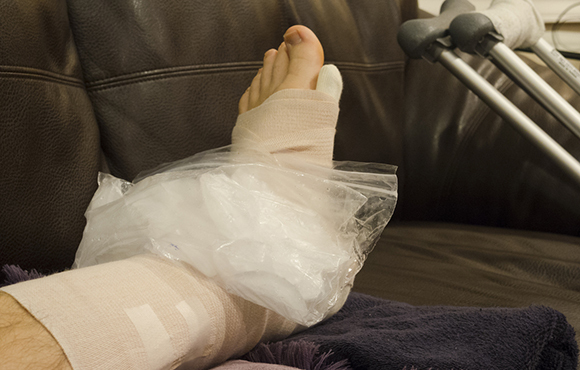 Is Using RICE for Recovery Wrong?